When it comes to choosing your home’s new window treatments, “information overload” can leave you feeling stuck! The good news here at Creative Window Coverings is not only do South Shore households have an incomparable selection of Hunter Douglas designs and features and books of many fabric swatches. You never have to decide on your own. When you use our FREE window covering consultation, you’ll learn which kind of blinds or shades works best for a particular room as well as more artistic/personal taste matters such as ideal color and texture combos for a room’s mood and use. Our store’s concern for you doesn’t end with the installation and follow-up call. 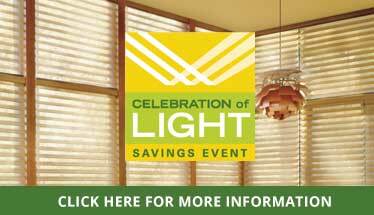 We want you to LOVE your new window treatments. So why not start on the right foot with a no-cost consultation? Our sterling customer service is a Long Island mainstay, at your disposal. Maybe you favor a certain color scheme but are unsure if it will work in your room’s natural light. Perhaps you have a vague design idea for your curtain or shade but don’t have the specialist’s vocabulary to articulate it. Our window covering consultation is your free interpreter, translating design jargon into plain English as well as deciphering engineer’s descriptions of energy-saving and motorization options for your new window treatments such as timers to schedule opening and closing coverings according to the time of day and the season. Our designers not only will guide you in choosing beautiful coverings but help you maximize privacy/security, light control, and insulation so that you save big on your energy bills. We’ve all had the experience of a hard-sell type talking AT us rather than WITH us. That’s why our designer during your free window covering consultation is not only a technical expert drawing on our years of successful custom work and installations. We’re people-centered and know how to LISTEN. A welcome change in this hectic age! Marvel as we turn your design ideas into an actual plan illustrated by fabric sample to make you the window treatments you dreamed of. When you buy new draperies, blinds, or shades, you’re not alone. Stop by our Oceanside, NY store for a free window covering consultation for expert design advice and practical considerations to make your home the showplace you know it can be!